These diverse primary and accent shades are excellent for old age characters, fantasy, whimsical, dramatic, animals and clown designs. 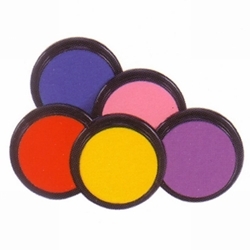 Rich pigmentation assures versatility for broad or subtle application. Washable, yet some colors may temporarily stain.